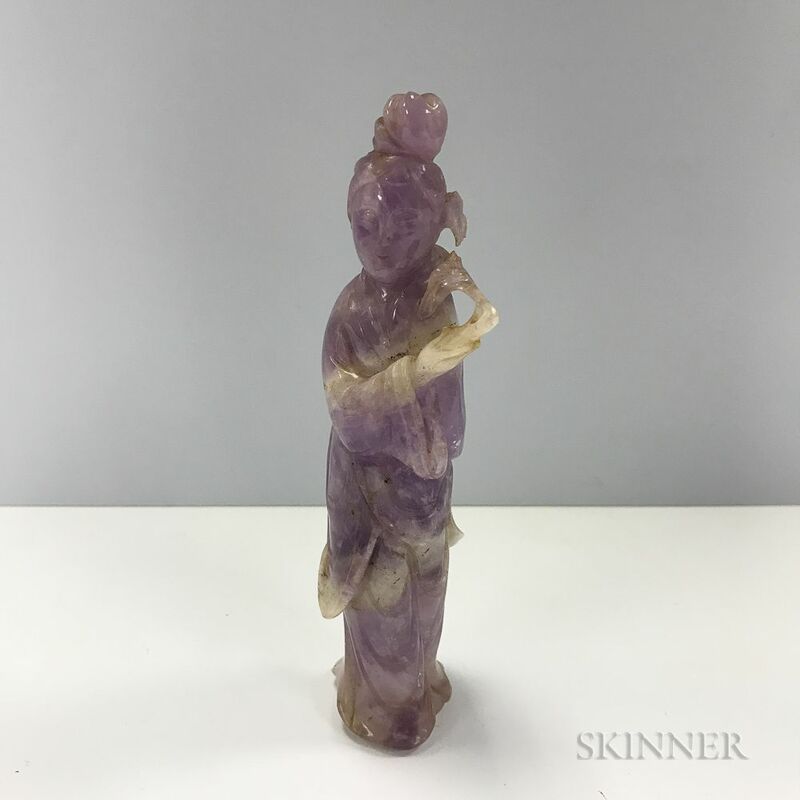 Amethyst Figure of Guanyin, China, standing with her left arm behind her, with a floral branch in her right hand, ht. 6 3/8 in. chips to floral branch and hair.